One North Dakota native is making history in the sport of women's rodeo. 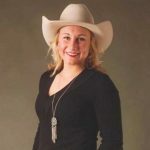 Codi Sebastian of Dickinson punched her ticket to RFD-TV's The American rodeo semi-finals after her efforts at the Sandhills American Qualifier on Aug. 25. She roped her three calves in 8.25 seconds, a mere tenth of a second out of first place. The setting of the roping added to the overall experience. Over 80 breakaway ropers competed on the historic Haythorn Ranch near Ogallala, Nebraska. "They just have an amazing ranch. The setup was so good. That morning they gathered out of the pasture and sorted the calves off of the cows. They ran them through and had the roping," said Sebastian. Inexperienced or "fresh" calves provide a challenge. They are unsure when the roper calls for cattle and may hesitate before leaving the chute. Furthermore, they may not run as straight as experienced calves. Roping fresh calves requires peak horsemanship and roping skills. The challenge can prove to be enjoyable to the seasoned roper. "One of the main reasons I wanted to go down there was for the fresh calves," said Sebastian. Placing second at Haythorns' was a welcome breakthrough in a tough summer for Sebastian. "This summer I've been really hot and cold. I was catching them but I'd be getting a barrier and getting a leg," said Sebastian, who lost her mom four months ago. "I found it really hard to be positive. I just kept telling myself, 'My roping can turn around just as quick as it went south.'" Sebastian's determination throughout trials worked in her favor. After a frustrating summer, Sebastian decided to change major factors before the biggest roping of her life. "I switched horses and picked up a different brand of rope," she said. "Mocha is a mare I've had. She injured herself four years ago and this is only the second time I've drug her out of the pasture in four years." Mocha proved her worth in Nebraska as the duo placed third in a warm up jackpot that preceded the actual qualifier. Sebastian kept her vision simple, "My goal going down there was to score my calves and rope every one." Sebastian's skill comes from daily practice. After traveling and working in oil field sales all day, she goes home to hone her skills. "I rope the dummy and run my calves through. I've got an auto chute and a roping lane," she said. Most days she ropes alone, unless her boyfriend Eli Lord or sister are available to help and critique. Her job is taxing, but she always looks forward to roping in the evenings. "This is the one thing I do for a break," she said. This is the first year that breakaway roping has entered such a high level of rodeo. It was added to both The American and the World Champions Rodeo Alliance (WCRA). The additions give more opportunities for women in a sport where barrel racing is the dominant female event. Sebastian said, "I think it's awesome. I don't have a barrel horse. It gives us a chance to go somewhere besides the amateurs." She also says that she is taking advantage of the WCRA qualifying system and is currently sitting twelfth. Looking forward, Sebastian plans to keep working toward excellence in roping. "I'm going to keep roping all winter, which isn't easy in North Dakota. As soon as I know where they'll hold it, I'm going to set up my box and chute like they'll have it at the semi-finals." Sebastian is also set to compete at the North Dakota Blitz American Qualifier in Bowman, North Dakota on Sept. 21.